Complimentary parking is available in the lot directly across the street from the Island Palms Hotel. Happy Hour is offered daily in the bar and bar patio from 4pm-7pm. For Inquiries, please call 619-222-0561 and ask for the Sales department. Thank you for your interest in Blue Wave Bar and Grill. More info coming soon! Excellent food and service was outstanding! 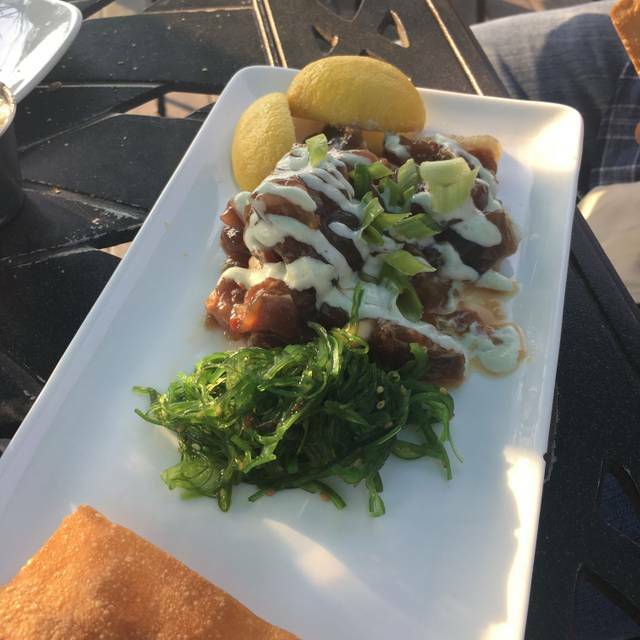 Since we have tried their various fish and seafood in the past, all of which are great, we opted for the Roasted Short Ribs, with cauliflower mash; and the Italian Sausage Bolognese. Both which were incredibly good. The service staff stayed on top of all our needs. A local gem and a find. This really is a restaurant and bar at the Great Western on Shelter Island but more like a resort dining room with views. Food is really fit for foodies, based upon 2 dinners and 2 breakfast meals at this location. The hotel is also a great deal midweek on certain times offseason. Thanks we enjoyed dinning at the Blue Wave for a couple of nights. The service was fantastic and food Delicious. Highly recommend for local dining & quiet atmosphere. We decided to have our Christmas party here and everyone loved their meals. So why not give it another try? Excellent again. Whether seafood or beef the quality was very good. A good value for money. We came here for the Christmas Eve dinner. Price was excellent compared to other places in San Diego. It is a solid mid-range restaurant. Nothing special, but food is good, price reasonable and staff was excellent (we’ve been served by Nathalie, who definitely made our stay special). Our favorite restaurant. Too busy that night. Nice setting for relaxing meals and visits. Food is very good, but service a little slow. Beautiful views wait staff with great personalities amazing food!!! Delicious Meals. Great coffee afterwards. We'll be back! Justine - our favorite server - always pays attention to detail and makes everyone feel special! Awful! Got there and told us food wasn’t available!!!! Who would have thought dinner at a Best Western Hotel restaurant would be Top Notch? It was so much more than we expected. From Justine, our outstanding server, to our exceptional desert, the experience was great. We enjoyed a well prepared and nicely presented meal in a simple but pleasant ambiance. Kudos! Dinner was an unexpected pleasure. We didn’t expect to have such great service and terrific food inside of a Best Western hotel. It was so good that we ate dinner there again the next night and breakfast the following morning. All three meals were very tasty and were served fresh and hot. The service was outstanding all 3 times that we visited. We will return. Wonderful service, terrific food, ambience also great. Definitely will be returning. Our sever, Sandy (I believe was her name) went above and beyond to cater to my vegan/non-dairy needs. And the candles on the desserts with a sweet quote about past, future and present was very memorable. Food was delicious & ambiance was perfect for our anniversary celebration. The scallops were delicious--I always order them at Blue Wave. It was well prepared and not drippin gin butter like a lot of other restaurants. The other people thought the mako was good, but the sea bass was just average. It's a nice restaurant, usually we don't go in the summer and it's somewhat quiet, not a lot of families. Wasn’t great , and especially for the price of our meal..
Pre concert eats on the patio. 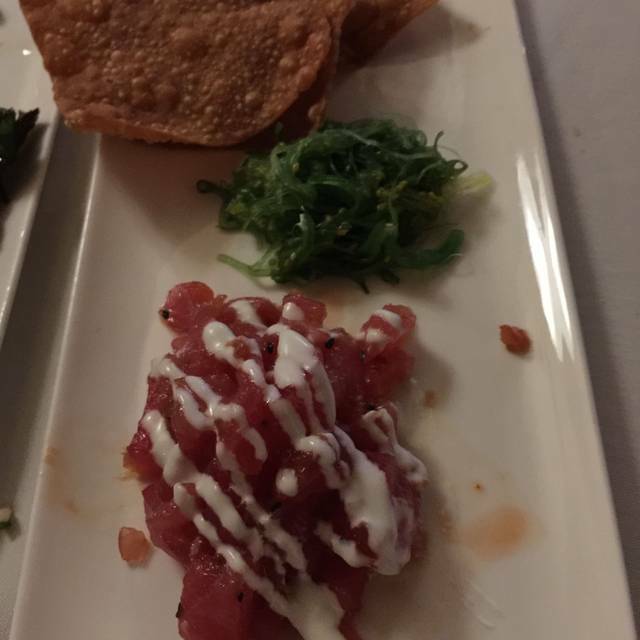 Ahi poke and filet were delicious. Service good but a bit slow when we needed our check so we could get to the concert. Overall good. Had a reservation, but none needed on this lunch day. Got in, got food, ate; enjoyed the view; staff and servers were friendly and helpful. Prices pretty good. Had lobster. Very good. Table on the patio with view of Marina. Had the tacos. They said grilled but they were microwaved. The pita bread was grilled. Tasted very fishy. Could not eat. We had 2 appetizers. One the ahi special. Ahi so thin transparent and non existent. Nothing to it and it was recommended. Fish and chips ok. Crunchy. Great view. Go for the view and the milkshakes. Service was good. They need anew chef. Great location for a nice meal with great ambiance. Service was great but the delivery of the food was slow. But they recognized that issue and made it right immediately. Would recommend it for a family meal or a meal with friends. We had a 6:15 dinner reservation and an 8pm show to attend at Humphrey's. Our dinner finally was served at 7:45. We were comped 2 salads for the "inconvenience" of not being able to finish our dinners and having to sprint to the venue. Foods were all good. Fantastic marina view from outside tables. 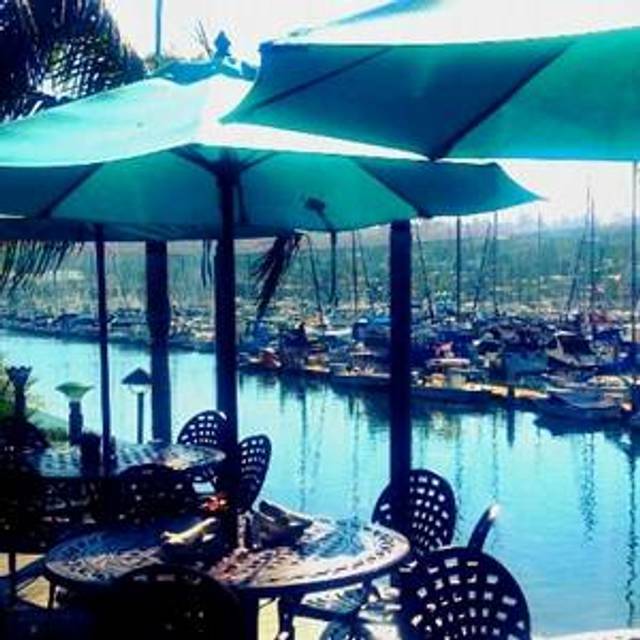 Good Food, Great Ambience, Terrific View of the Harbor on the south Point Loma side with all the boats coming an going, Great for people watching. The Wait Staff was very polite and attentive, with out being overly so. All of the times we've dined there the pace was relaxed, the food was very good, well prepared and plentiful. The view is beautiful of the marina. However, know that it's a "seat yourself" game on in the background overlooking the pool kind of casual. I was blown away at how good the food was! The poke bowl was amazing good and my friend has the catch of the day which was also great! The food was really great and love that its so close to Humphrey's. Makes for a great pre-concert dinner. We came for thanksgiving diner and had a good a time. Food and service were great.